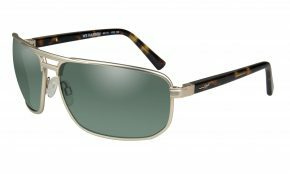 The ultimate standard in protection for prescription sunglasses. 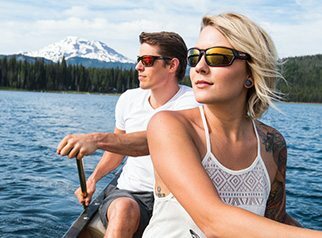 Wiley X is obssesed with protecting your eyes in any condition. 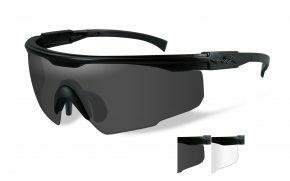 You will not find a better way to protect your eyes from high speed projectiles. 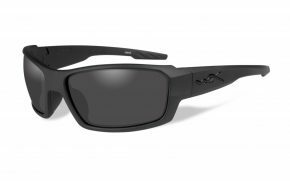 Wiley X foam paded prescription sunglasses are designed for high volocity environments and protects your eyes from small particles. The foam padding encircles the lens and keeps out debries from all angles. 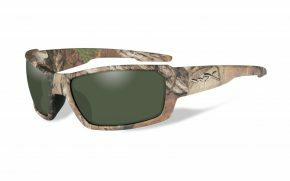 Wiley X frames and lenses withstand the impact of a .25mm diameter steel ball fired at 150 feet-per-second. 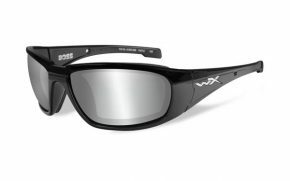 Furthermore, Wiley X frames are VO Ballistic rated. 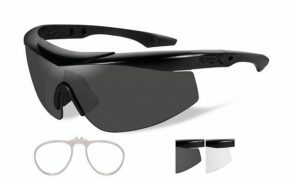 The frames and lenses canwithstand the impact of .15 caliber projectiles fired at 640-660 feet-per-second (spectacles) and .22 caliber projectiles fired at 550-560 feet-per-second (goggles). 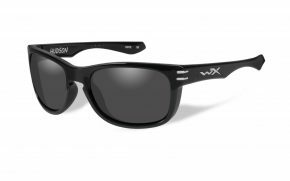 Wiley X also meets European EN-166 standards. 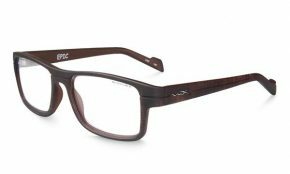 :The European EN requires that frames and lenses withstand a .22mm diameter steel ball fired at a rate of 5.1 meters-per-second. 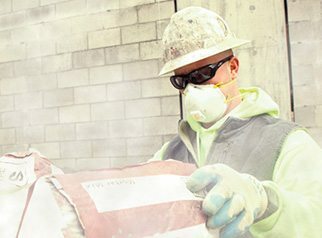 If you live an active life style, or work in an active envornment, dust, pollen, and wind can cause long-term eye irritation, such as Dry Eye Syndrome. Peripheral light can also diminish optical clarity. 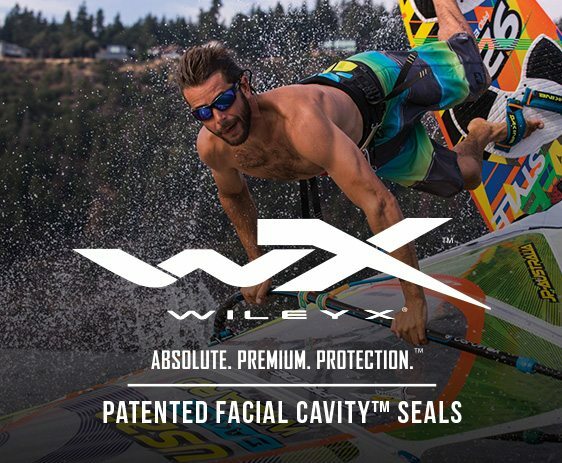 With Wiley X patented removable soft foam FACIAL CAVITY™ SEALS are equipped with vented, soft and sweatproof foam cushions to seal out wind, dust and debris. No more tearing or dry, irritated eyes. 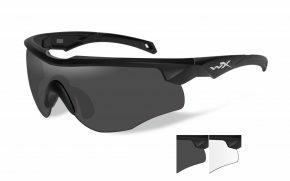 With Wiley X, you can block out even the finest irritants and peripheral light, protecting the eyes and allowing polarized lenses to perform at peak levels. 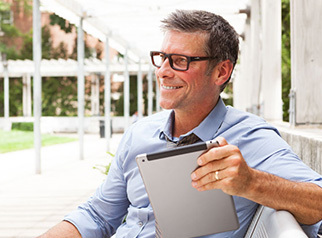 Did you know that glare off the water and other light colored surfaces can diminish vision at critical moments and cause eye fatigue? Wiley x Prescription Safety Glasses is one of the globally recognized brands in sportswear, specializing is protective eyewear. 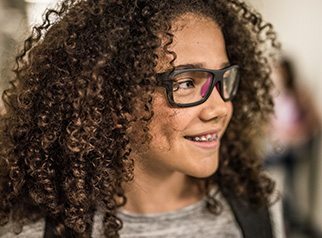 With research, technology, and unflinching commitment to quality, Wiley X has become a leader in supreme quality glasses. 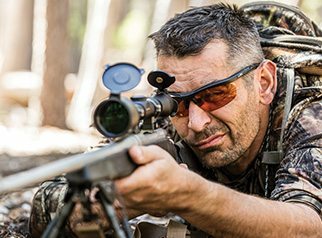 Over the past 30 years, Wiley x Prescription Safety Glasses has grown from a specialized eyewear brand that wanted to build high quality products for American families and war veterans to something much more significant. 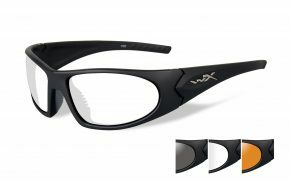 Wiley X This dream grew into a sophisticated chain of events that have led to the perfection of Wiley X prescription safety glasses. All they wanted to do to build were protective eyewear and military-grade gloves and gear for those who protect us while we sleep in peace. Wiley X wanted to produce supreme quality products and market them to domestic consumers and law enforcement agencies. With time, the legend grew. 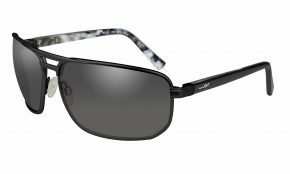 Now, Wiley X is among the leaders in the adventure, tactical, family, and fashion eyewear markets. 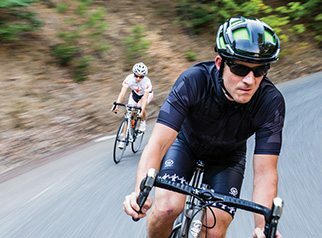 Wiley X is among those brands in the industry of body wear and accessories that have maintained focus on variety. Since they have a wide range of products with unique features, these brands are able to satisfy the need of multiple market segments. 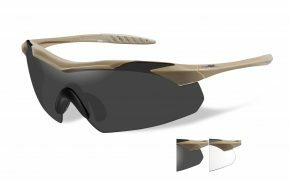 In terms of protective eyewear, Wiley X has grown into a globally recognized name that is building products that many types of customers. 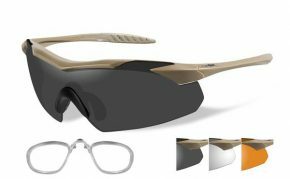 With modification in design, Wiley x Prescription Safety Glasses has achieved great feats in quality for all types of customers using protective eyewear. Their products serve adventurers who seldom live outside the wilderness just as well as they serve a family living downtown. 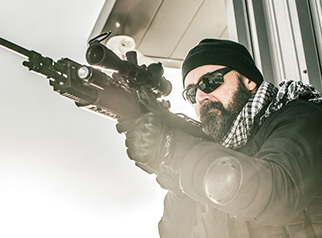 What is common between a Special Ops shooter staking out in the desert on a mission and a ten-year-old playing soccer with his baby sister in New York Central Park? 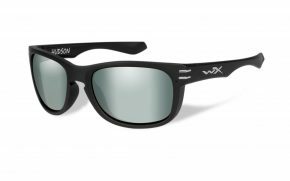 They are both likely to choose a Wiley X product for optical protection. 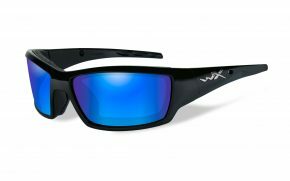 The thing about buying a Wiley X product is you know you are getting the best value for your money. 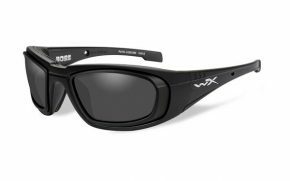 In the Rx safety glasses category, Wiley X is already leaps and bounds ahead of its competition. 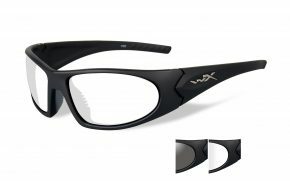 You can get a wide range of designs and materials from a Wiley X prescription safety glasses display. 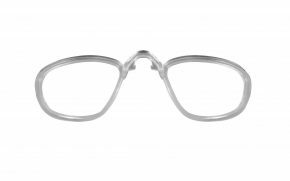 The difference in designs is based on the purpose and environment a customer would often use their pair of glasses. If you prefer sleeping in your tent out there in the wild over your bed at home, you have a whole range of Climate Control series to choose from. 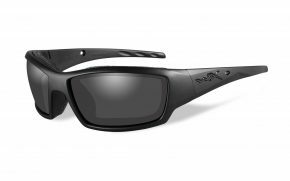 If you happen to work in industrial settings or make a living in construction or active labor, all the Wiley X safety prescription eyewear products in the Active Lifestyle series are perfect for you. On the other hand, if you work in the corporate world where style and elegance matter more, you can get the perfect blend of fashion and safety in Wiley X Worksight series. 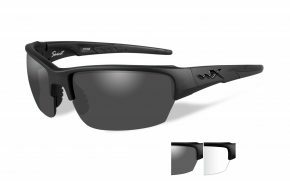 If you travel a lot and the light around you keeps changing, you can get a pair of Wiley X prescription safety glasses with interchangeable lenses. 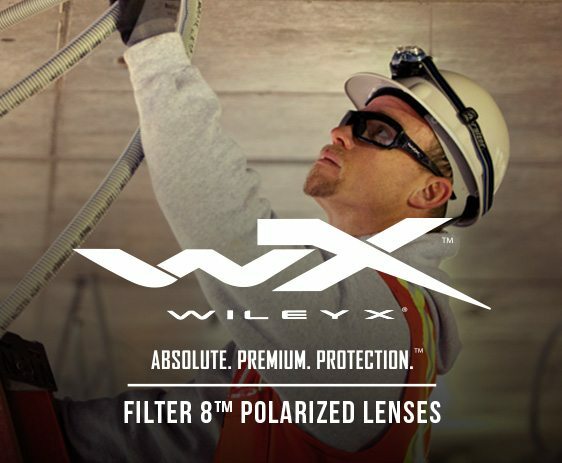 When it comes to durability of the lenses, Wiley X is way ahead of the competition. 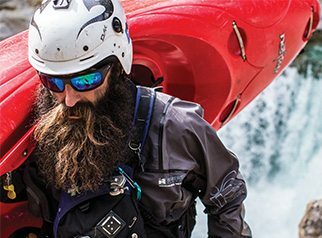 Way beyond the standard safety compliance required for safe eyewear, Wiley X has set the bar very high when it comes to protecting a user’s eyes. ANSI High Velocity Impact/VO Ballistic Tests, where a .25mm diameter steel ball is fired at the frame and lenses at a speed of 150 feet per second. ANSI High Mass Impact Test, where a pointed projectile weighing 1.1lb is dropped vertically on to the frame and lenses. 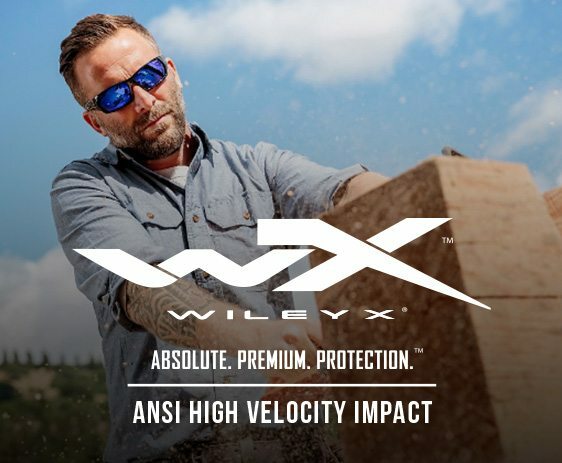 The result is that every single pair of Wiley X ANSI safety glasses is a symbol of perfection of protection. In conclusion, every Wiley X customer is satisfied with the product they get. They understand the value they are delivered for their money is truly remarkable and inspires loyalty. What are you waiting for? 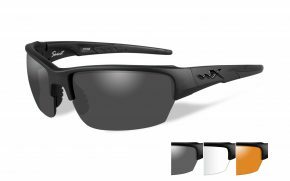 Buy your pair of Wiley X prescription safety glasses online today!